Motorcycles are not the same as cars – obviously. But most states require them to drive the same way. Lane splitting, or filtering, is a practice used by motorcycle and scooter operators in heavy traffic, where they pass conventional vehicles within the same lane, or in the gap between rows of stopped or slow-moving cars. 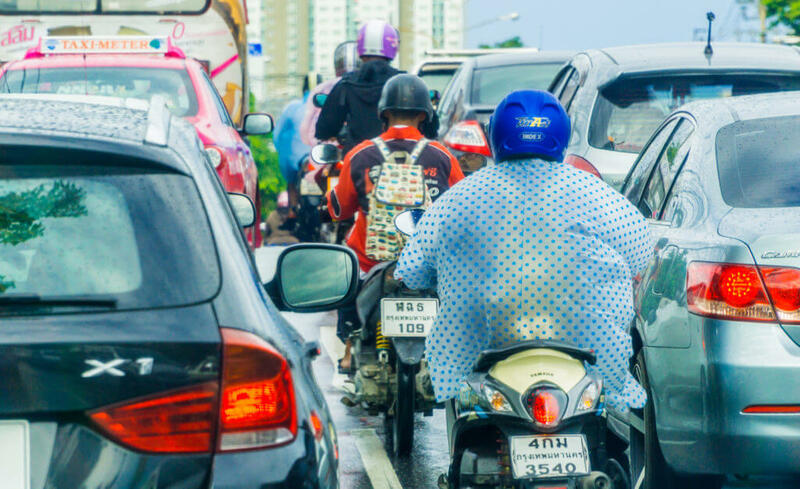 Lane splitting is common and legal in most of Asia and Europe, where motorcycles are more common than in the United States. But in this country, most states specifically ban the practice or interpret existing traffic laws as forbidding it. California was the only state with no law against lane splitting that also tacitly condoned the practice. Then in 2016, California passed A.B. 51, authorizing the state highway patrol to work out guidelines (still under development) for legal lane splitting. Lane splitting is explicitly illegal in Arizona and the law is enforced. Thanks to citizen involvement, Arizona may soon follow its neighbor in legalizing lane splitting. A constituent (presumably a motorcycle rider) requested a legalization bill from state Senator David Farnsworth (R-Mesa), who proposed SB1007. The bill would strike out clauses in existing law that ban lane splitting and would require the Arizona Department of Public Safety to develop safety guidelines. Despite research finding the practice safe and the support of the Arizona Confederation of Motorcycle Clubs, the bill faces tough opposition. The Arizona Governor’s Office of Highway Safety and the Arizona Department of Transportation and Department of Public Safety have stated their opposition to the bill, insisting that the practice will result in more motorcycle crashes. Drivers of conventional vehicles seem to oppose the bill as well, claiming that lane splitting would require them to pay more attention while driving and refrain from opening car doors when traffic stops on the freeway. Could they be jealous that motorcycle riders might soon be able to pass through traffic while cars remain stuck in gridlock?